‘Percussionism: Deep House‘ from Vandalism is a great compilation of dynamic and perfectly designed percussive sounds. Inside this amazing collection you will find 190 energetic samples such as percussion, kicks, claps, snares, hi-hats and vocal chops. This unbelievable palette of percussive sounds was inspired by the fresh and relaxing Deep House vibes. 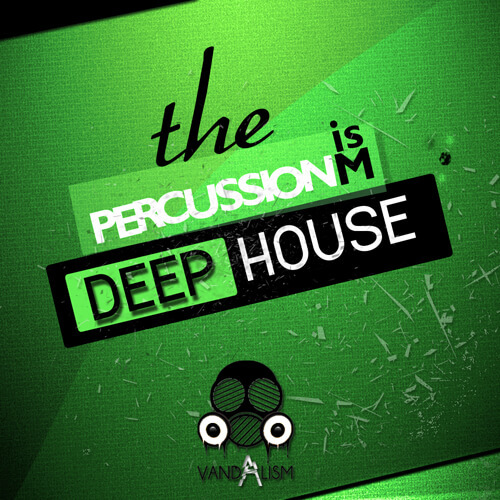 ‘Percussionism: Deep House’ brings you sounds of the massive events! Inside you can find drum shots inspired by Robin Schulz, Dusky or Bontan. This product was made for the most demanding House and Deep House producers looking for top-notch percussive sounds.